Who should get a Design Patent? 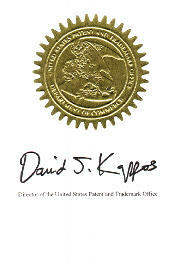 Home/Patent/Who should get a Design Patent? Just as auto makers, running shoe companies, and phone companies are seeking design patents, inventors should review their inventions for design patent protection. Patents for design protect visual ornamental characteristics embodied in or applied to an article of manufacture (the appearance of the article is unique). Look around your room for unique designs, such as door handles, desk phones, vase, furniture parts, lamps, printer case, chairs, etc., all these items may contain patentable subject matter in their configuration or shape of the article, the surface ornamentation applied to the article, or to the combination of configuration and surface ornamentation of an article of manufacture. Inventors of a device, such as an article of manufacture, should be reviewing and likely seeking design patents as well as utility patents to protect their inventions and ideas. Why? Because design patents are relatively low cost patent protection, may issue as a patent in under a year, and last for 15 years without the need to pay any additional maintenance fees.